When the world was new, the sky held nine suns. The land became hot and rivers dried up causing crops to die. The people decided to ask their best archer to shoot the suns out of the sky. One by one, he shot the suns. Frightened, the last sun hid behind a mountain where the archer could not reach her. The people soon realized their mistake. Now the world was cold and crops would still not grow. They spoke gently to the sun to coax her back; they even asked animals and songbirds to try but no one succeeded. Finally, they asked the rooster because he was fearless and would not give up. Agreeing to help, the rooster crowed three times and the sun rose from behind the mountain, believing him when he said it was safe. To show him gratitude, she placed a piece of the morning sky on top of his head. For generations, the question of why the rooster crows in the morning has plagued farmers and regular folks day in and day out as his call drags them from their sleep and into the everyday life. Though the myths and legends surrounding the crow of the rooster are certainly romantic, the scientific reasons behind it are much less exciting. Basically, the early morning crow is no different than that of every other bird you hear first thing in the morning. The rooster has woken up and is letting every other rooster out there know that this is his turf and they’d better get off it or he’d be coming for them. Why do some crow before the dawn? Simply because they are awake. When their internal alarm clock goes off, they are up and ready to defend their territory. 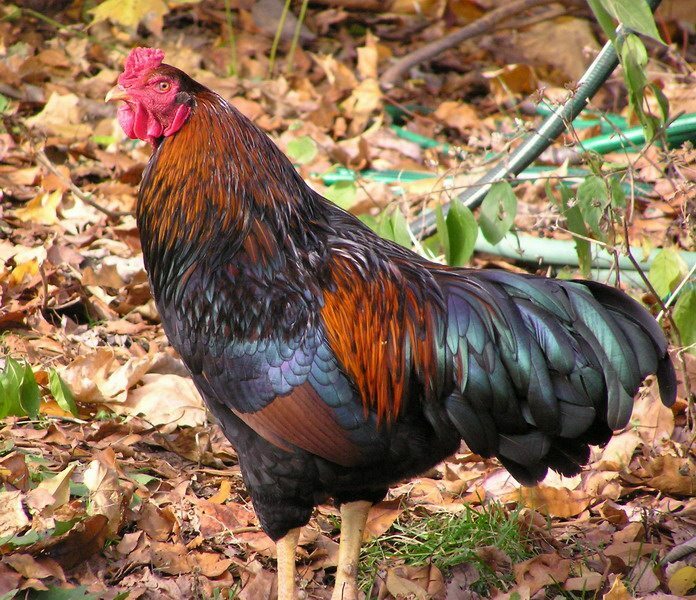 Interestingly, however, is the fact that roosters crow throughout the day and no one really seems to notice it then; though that may be attributed to the fact that we’re all busy during the day and just don’t notice one more noise on top of the others. If you have a rooster, spend a day noticing why he’s crowing. Some crow to announce that they are the proud husband of a hen that just did her job laying an egg. You may find it coincides with the cackling of your hen when she is finished. If your rooster hears another rooster crowing, he will certainly sound off. The crow is the first defense against another bird invading your territory. They crow to warn their hens that they need to get away or to inform that there are trespassers in the coop. 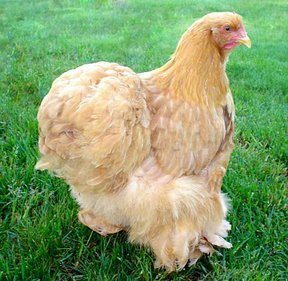 It is a warning to both the hens and the intruder (often a hapless human going for an egg) that they will be mounting a dangerous, spurred offensive. Size certainly doesn’t affect the sound of the crow as a bantam can, and will, crow as loudly as its full sized counterpart. 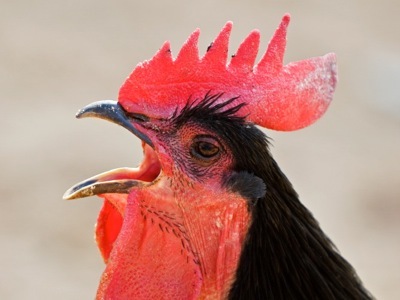 Interestingly, however, a neutered rooster will not crow as they lose their aggressive and territorial instincts.